DGADGET stocks a great range of flat screen televisions to suit any room in the home, office and even public display areas. And, whatever your TV needs are, we have both high-end and cheap TVs to suit your lifestyle. There are different kinds of LED (Light Emitting Diodes) televisions though all are LCD TVs with LED backlighting. You can either expect ELED, (Edge LED backlighting), or DLED (direct or dynamic backlighting). An Edge LED back lit TV is extremely slim in profile, making it a stylish and practical option. It also delivers high picture quality and low power consumption. The equivalent DLED TV is usually slightly bigger in profile, but delivers outstanding image quality, particularly with contrast and motion - if you plan to use your TV for games and films, then this is for you. Bush 24 inch HD Ready Smart TV with DVD Player - White. Bush 32 Inch Full HD LED TV. Bush 50 Inch Full HD Freeview HD LED TV. 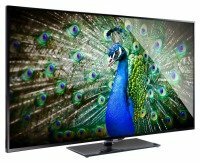 LG 42LF5610 42 Inch Full HD TV. Philips 24PHH4000/88 24 Inch HD Ready TV.